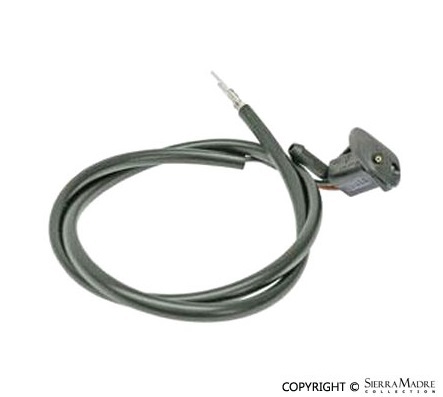 Combination Switch, Turn Signal/Dimmer/ Windshield Wiper/Washer/ Headlight Washer/ Cruise Control, for 928 (1978-1988) models. 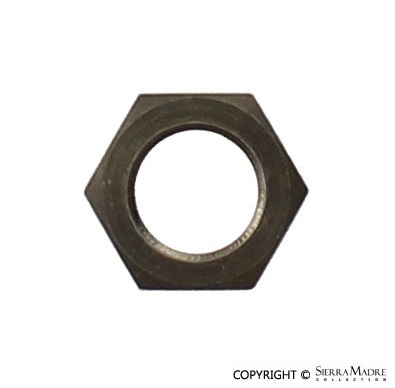 Hexagon Nut for 928 (1978-1986), 944 (1989-1991) and 968 (1992-1995) models. 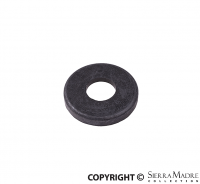 Used washer reservoir for 928 (1978-1995) models. 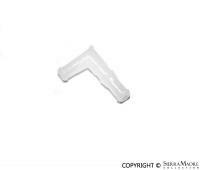 Used wiper arm for the right side of 928 (1978-1995) models. This listing is for the item pictured and there is only one at this price. 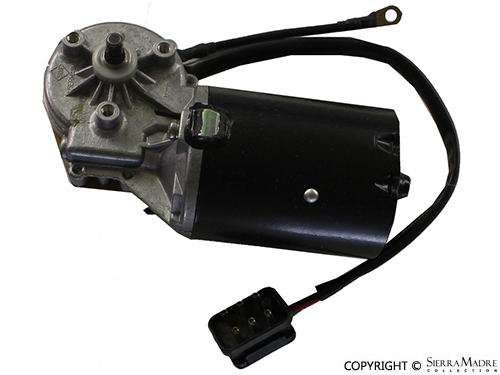 Used wiper motor with bracket for 928 (1983-1995), 944 (1989-1991) and 968 (1992-1995) models. 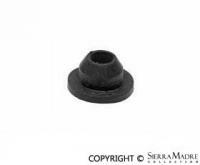 Washer tank cap for 928 (1978-1995) models. 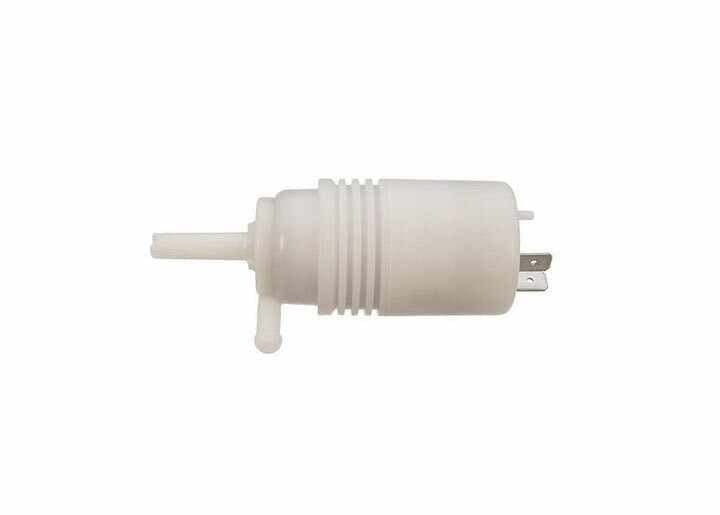 Windshield washer pump for 911 (1984-1994) and 928 (1987-1991) models. 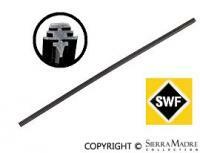 Wiper blade for 928 (1978-1982) models. 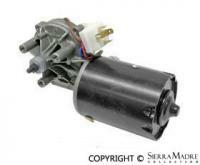 CURRENTLY UNAVAILABLEWiper motor for 924 and 944 models (1977-1988). 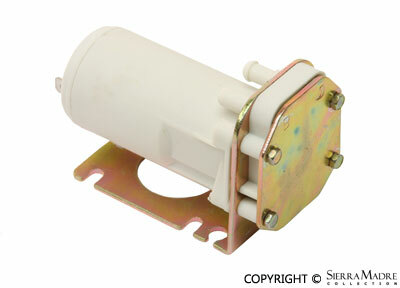 Wiper motor for 928 (1983-1986) models. 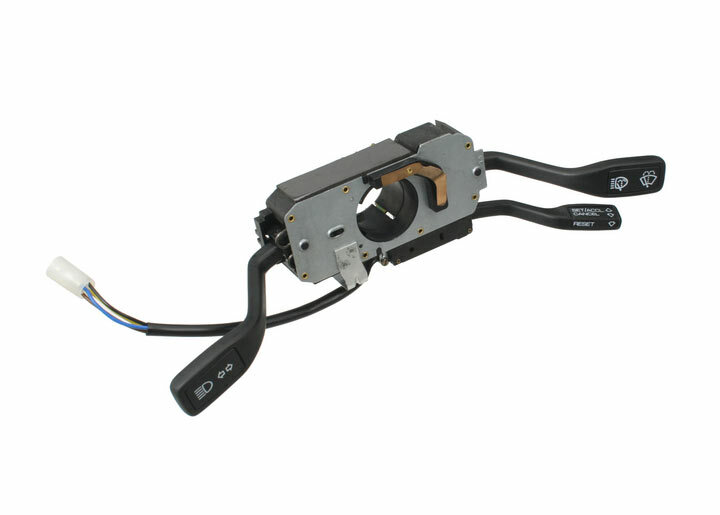 Wiper motor for 928 (1983-1995), 944 (1989-1991) and 968 (1992-1995) models. 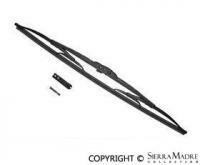 Rear wiper blade for 924, 928 and 944 models (1977-1995). Measures 19". 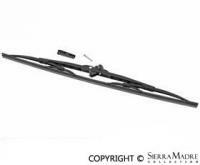 Front wiper blade for 924, 928 and 944 models (1977-1995). Measures 19". Two required. 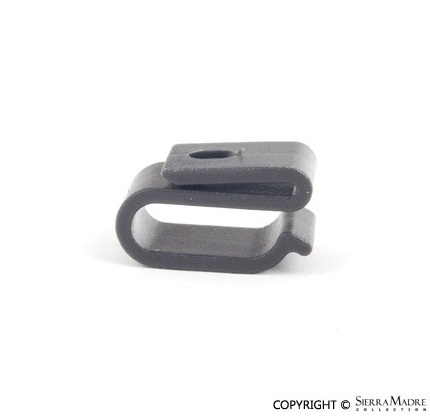 Plastic cap that attaches to wiper arm with two open hooks. Fits 911 and 928 models. Front wiper arm cover. Two required. Fits 928 and 964 models. Plastic cover for the rear window wiper arm. 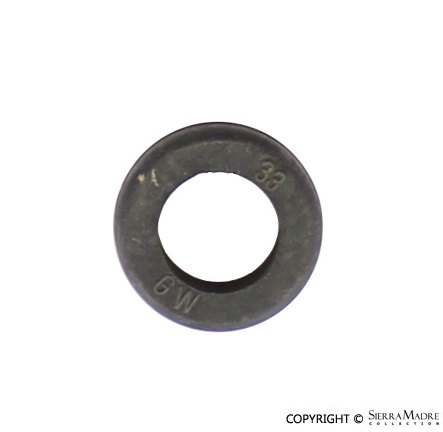 Washer pump grommet for 911, 928, 944, 993, 996, 997, Boxster and Cayman models (1984-2012). Headlight washer jet for left or right side. 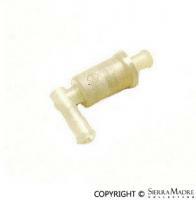 Nozzle fits 911 (1985-1989), 930 (1985-1989), 928 (1993+), 944 (all), C2/C4 (1989-1994), 911Turbo (1990-1994) models. 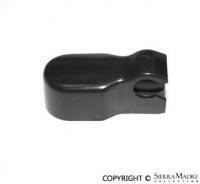 It fits 911 (1987-1989), 924(1987-1988), 928 (1993-1995), 944(1985-1991), 968(1992-1995) models. It fits 911 (1987-1989), 924 (1987-1988), 928 (1993-1995), 944 (1985-1991), 968 (1992-1995) models. 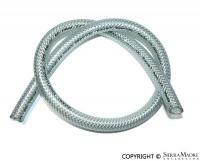 Water hose for the headlight washer system. 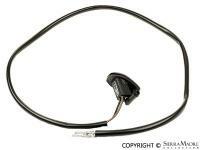 Fits C2/C4(1989-1994), Carrera (1995-1998), 911Turbo(1990-1998), 924(1987-1988), 928(1978-1991, 1993-1995), 944(1983-1991), 968(1992-1995) models. Sold by the meter. 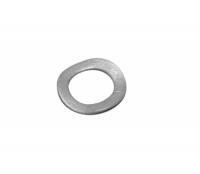 Inlet hose rubber fitting for washer. 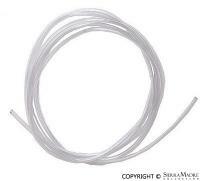 Water hose for the windshield and headlight washer system. 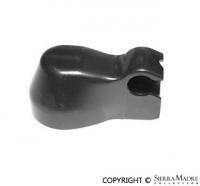 Fits C2/C4(1989-1994), Carrera (1995-1998), 911Turbo(1990-1998), 924(1987-1988), 928(1978-1991, 1993-1995), 944(1983-1991), 968(1992-1995) models. Sold by the meter. 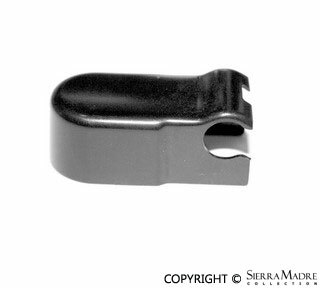 Windshield washer hose clip. Four needed. Washer pump. It fits 911(1965-1989), 912(1965-1969), 914 (1970-1971), 930(1976-1989), 912E(1976) and 928(1978-1989) models. 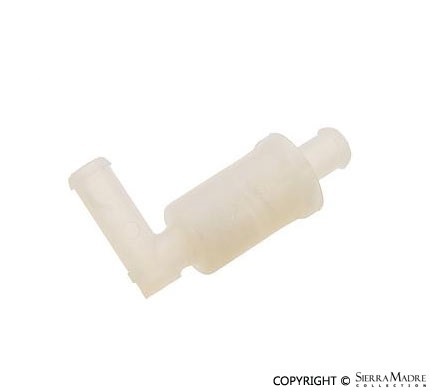 Washer pump rubber installation bushing for 911, 912, 914(1970-1971), 930, 912E and 928 models. Three required. 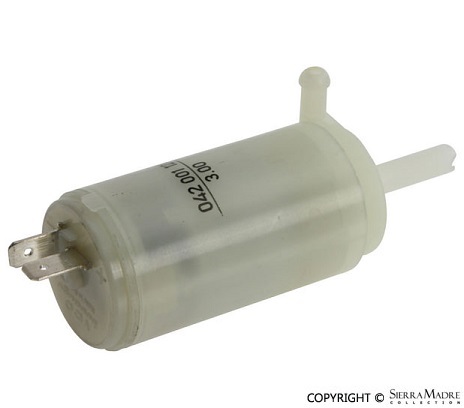 Windshield wiper pump for 924, 928 and 944 models (1987-1991). It fits 911(1980-1989), 930(1980-1989), C2/C4(1989-1994), 911Turbo(1990-1994), 928(all), 924(all), 968(all) models. 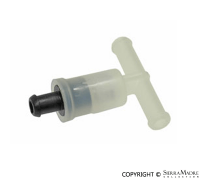 Check valves are usually the first to go in the windshield washer system and luckily the cheapest to replace! 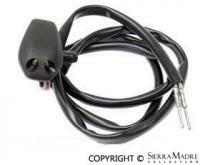 Heated black right windshield nozzle for 928, 968, 964 and 993 models (1994-1998). 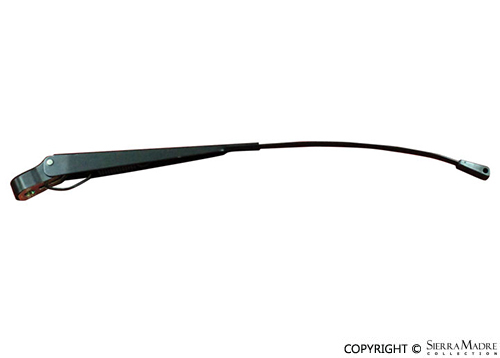 Please note this item can be used for both sides for the 928 model. 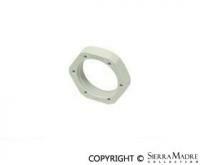 Washer bottle cap elbow (90 degree) for 356B, 356C, 911 and 912 models. 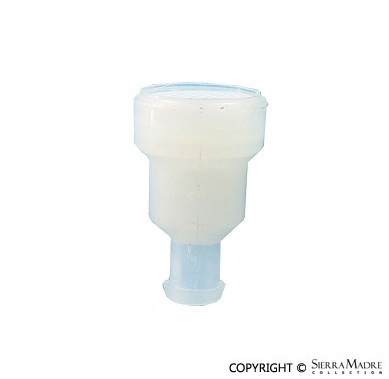 Reservoir cap for washer bottle fits 944(1987-1991) models. 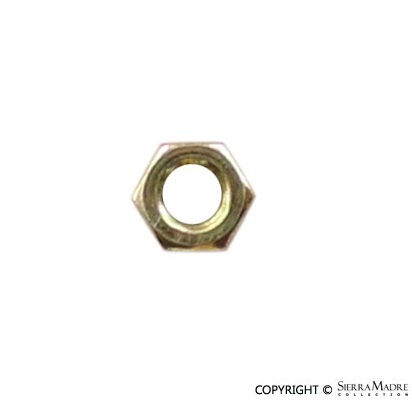 Nut for headlight washer nozzle for 928, 911 and C2/C4 (1978-1994) models. Two required. 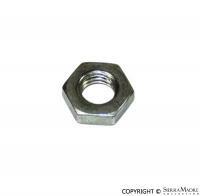 LIMITED QUANTITY AVAILABLEWiper arm nut for 911 and 930 models. 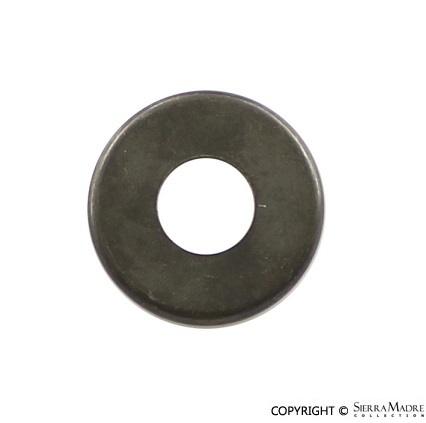 Wiper shaft spring washer for 911, 912, 914 and 930 models. Two required.